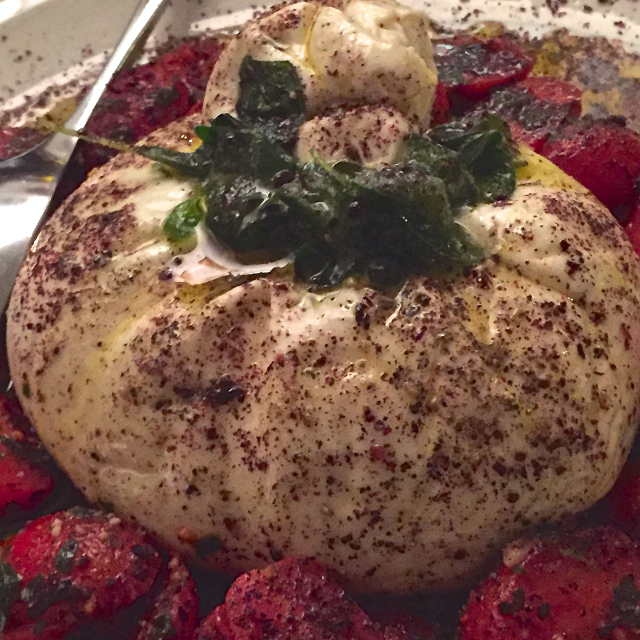 We recently returned to two of our favorite informal restaurants in Paris: Sardegna a Tavola and Chez René. We have never found an excellent Italian restaurant in Paris, despite many people telling us that they know a real one. The pasta is nearly always overcooked and oversauced, and the French, despite their great culinary heritage, just don't get Italian food. We are spoiled by New York, I guess. Our solution is to go to Sardegna, a fantastic Sardinian place in the 12th arrondissement, not far from the Gare de Lyon, which, while not Italian, satisfies the same cravings. This week we were four and shared a wonderful meal consisting of this amazing burrata, followed by two pastas and a tuna and artichoke dish from heaven. 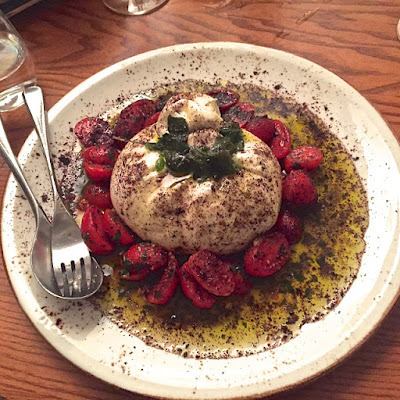 When the burrata arrived, I said it looked like it would be the best we had ever eaten. And it was. Our other great meal was at Chez René. 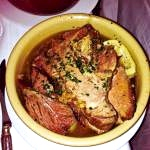 When I discovered the place last year, the waiter told me that they have the best pot-au-feu in Paris, served on alternate Thursdays (blanquette de veau is the star the other weeks), and I have been trying to get there on the right night ever since. We finally made it last night, and three of us ordered the rich, beefy pot-au-feu, which is rated second in Paris by Le Figaro (Drouant is rated Number One). It is delicious, huge, satisfying and a screaming bargain at 17 euros. And I learned a trick from one of our dinner companions, whose family is from Normandy, which is to serve it with a little crème fraîche in addition to the traditional mustard, coarse salt and cornichons. I had no camera with me so swiped this little picture (sorry about the poor quality) from the Internet to give you an idea. Even if you don't like pot-au-feu (or, like J, can't eat beef), all of the classic cuisine at Chez René is excellent, the place is lovely, if in a bit of a time warp (in the same location on the Boulevard St-Germain since 1957), and the service just right. In the suddenly cold and damp Parisian weather, these types of dinners warm the body as well as the soul.